To The Batpoles! Batman 1966: #029 The Minstrel Hits the Airwaves! #029 The Minstrel Hits the Airwaves! 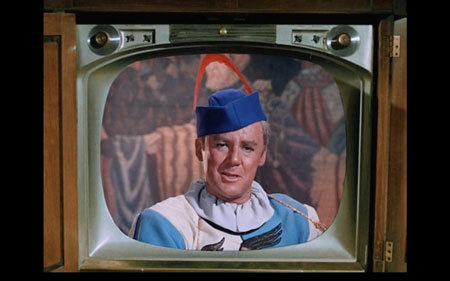 It's a new villain -- even new to the Duo themselves: The Minstrel (Van Johnson)! But his crimes don't involve robbing music stores and the like: he's out to shake down the stock market, though by using methods that Batman and Robin are at pains to tie back to the malfeasant musician's tuneful guise. And finance-related crimes seem to be a specialty of writers Francis and Marian Cockrell. By the way, who was Van Johnson? And how does the Minstrel arc measure up? We also look at the references that are baked into the tunes Minstrel puts his lyrics to. Does Commissioner Gordon need to watch his language? Why did Minstrel show up at the stock exchange in disguise? And, doesn't it seem that the bat-drone plane has abilities even beyond those of a normal drone -- or car radio?